In this three workshops we will dive into this topic, play with our discoveries and learn to present them through the tool of Slam Poetry. And to conclude our journey, together we will create a Slam Poetry Event following the system of SISlam competitive events! 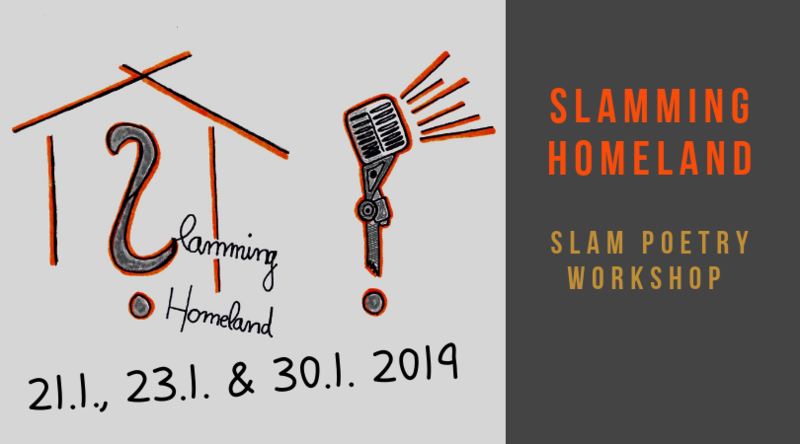 If you are Poetry enthusiast, want to improve your on-stage performance, fight your stage fright or it’s just that your new year resolution was to try something new – join us on the Slamming Homeland Workshops! Workshops were realized as a personal project of an EVS volunteer of XENA –Centro scambi e dinamiche interculturali, Pavla Zabret – who will also lead the workshops, in association with Arte Migrante Padova and Slovene slam group Pest Besed.